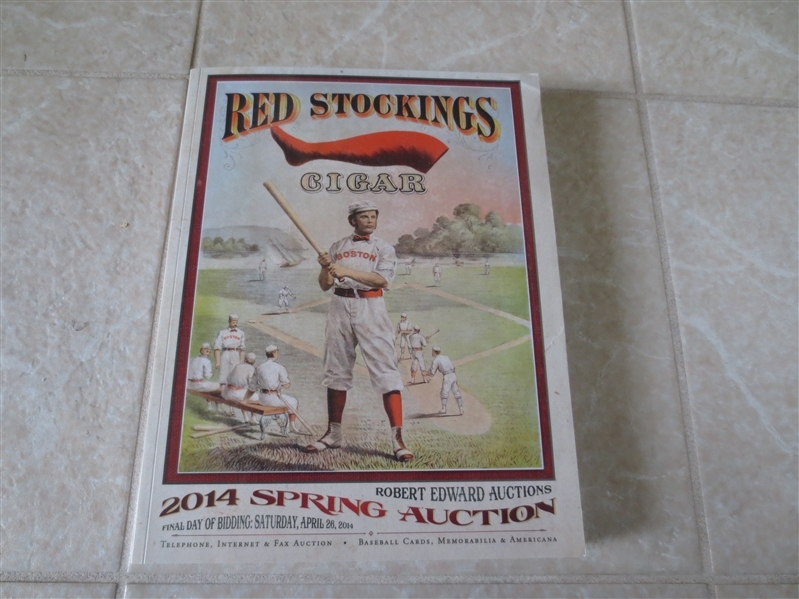 Lot Detail - 2014 Robert Edward Auction Spring Catalog 1756 lots Red Stockings cover Great reference! 2014 Robert Edward Auction Spring Catalog 1756 lots Red Stockings cover Great reference! What we have here is the April 2014 Spring Robert Edward Auction catalog with its 1756 lots and Red Stockings cover. What a reference! Auction closed on Thursday, September 13, 2018.